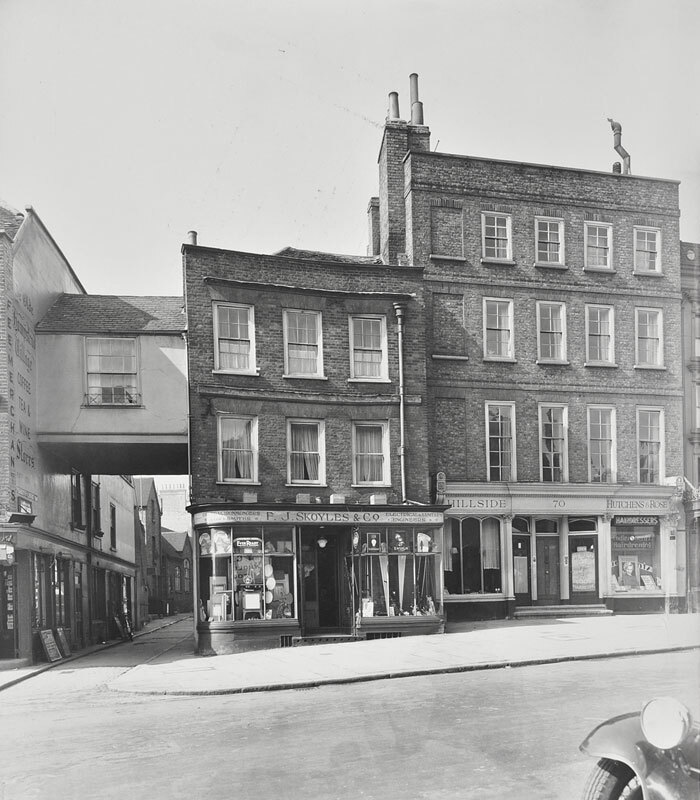 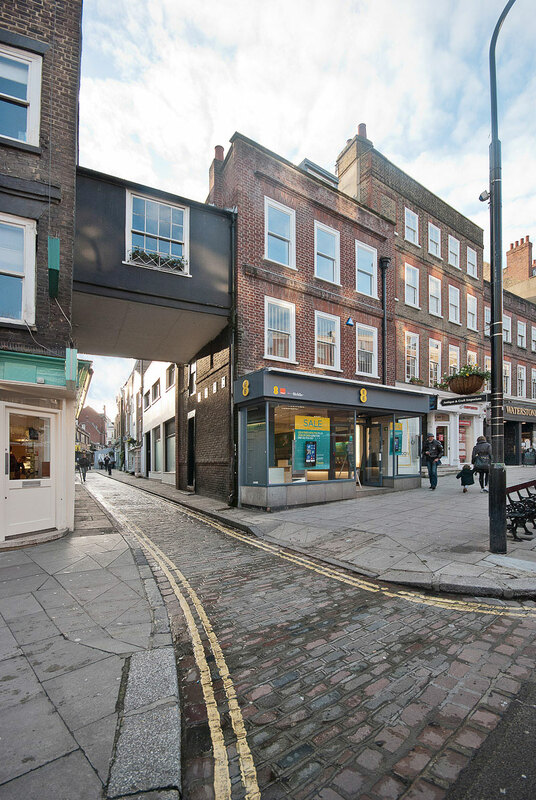 Cascade House, an early 18th century Grade II listed building within the very heart of London's Hampstead village, comprises existing retail premises over ground and first floors, with a new generous two-bedroom dwelling above. 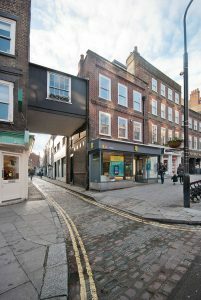 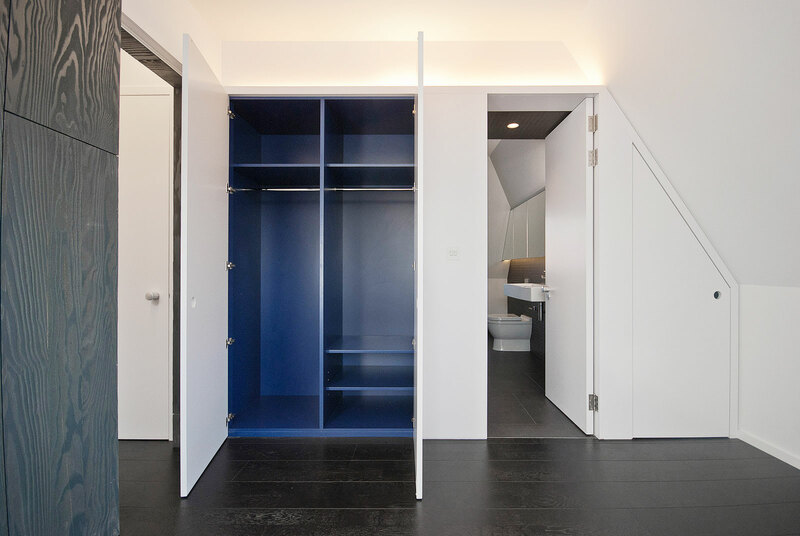 Spanning across four floors, parts of the dwelling are located in a new roof top extension that has been developed in close consultation with the local planning and conservation authorities. 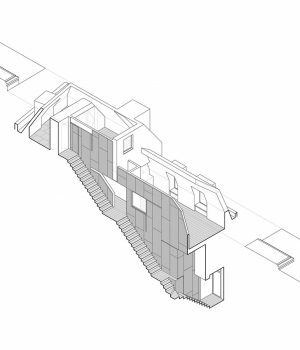 The external appearance blends into its historic setting, whereas the interior provides a series of bright and contemporary spaces. 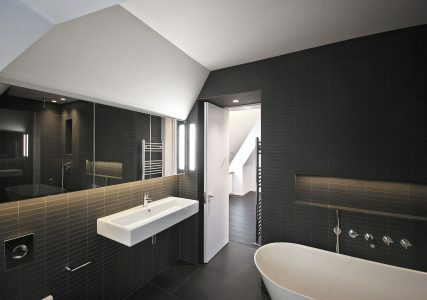 Within the very confined extent of the listed building, an intense and striking spatial sequence has been created that is flooded by natural light and makes the dwelling feel much larger than it actually is. 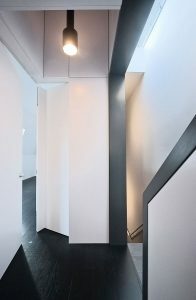 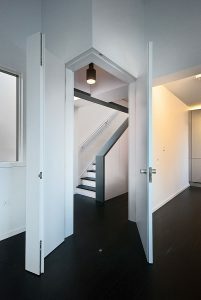 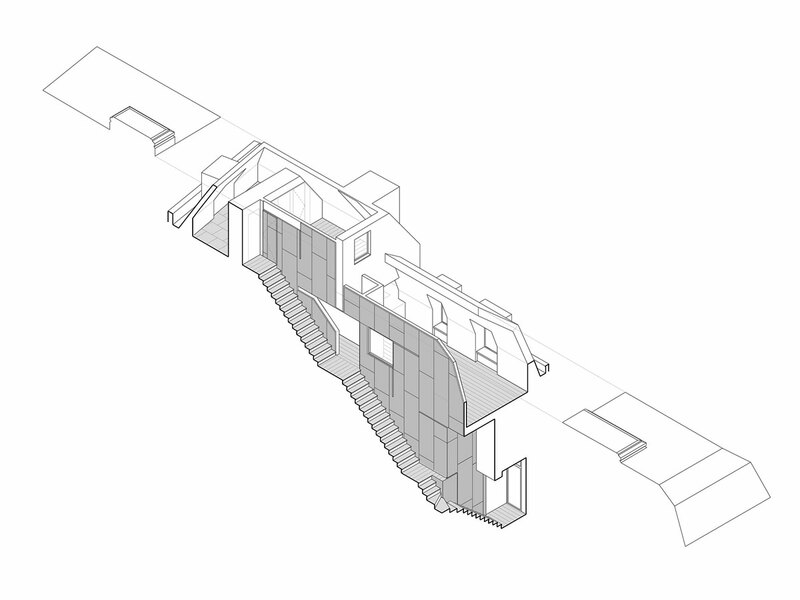 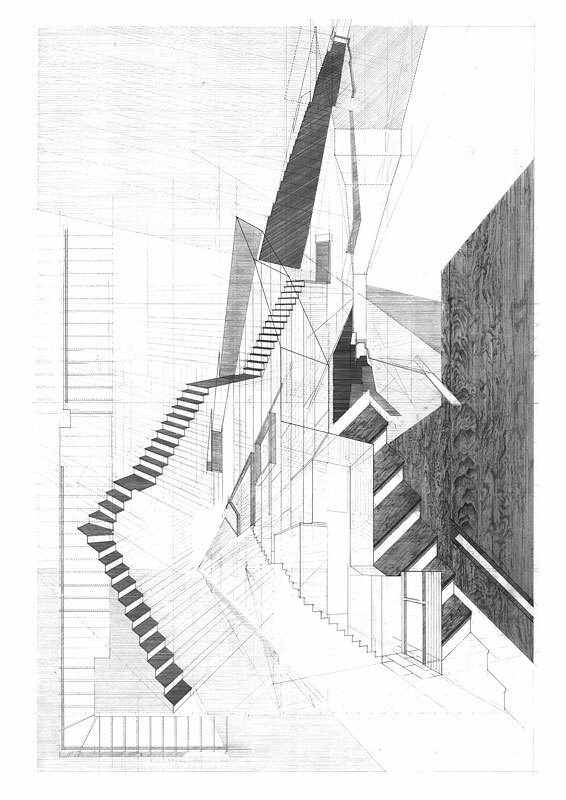 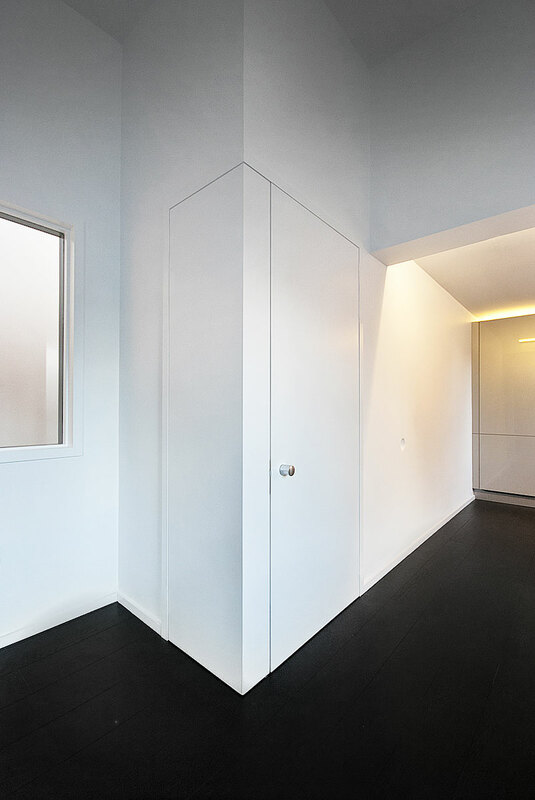 The staircase is located within a triple height space and represents a major new intervention which runs for most of the building’s depth, reorganising the house around a central focus. 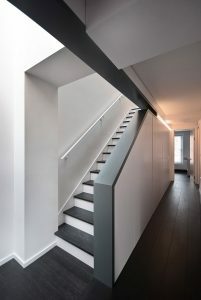 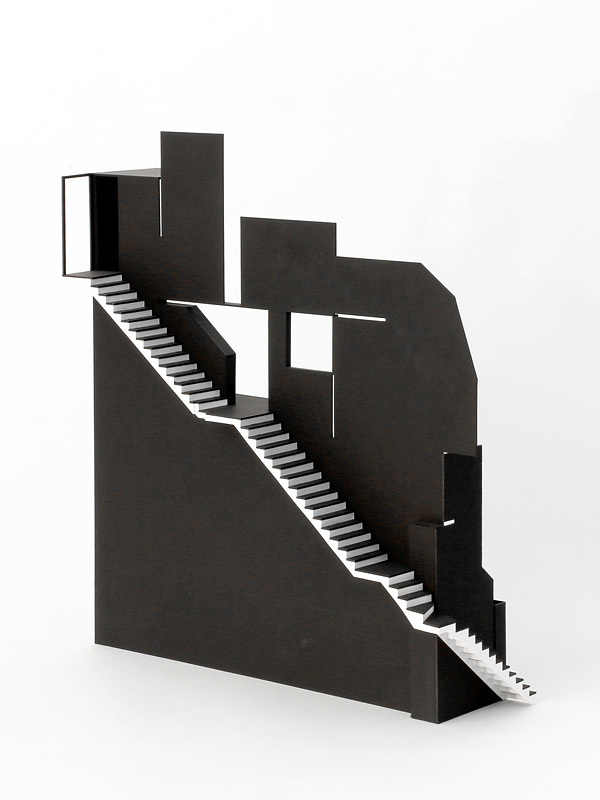 The continuous fall of the black stained staircase treads within the dramatically tall space has given the dwelling its new name, Cascade House. 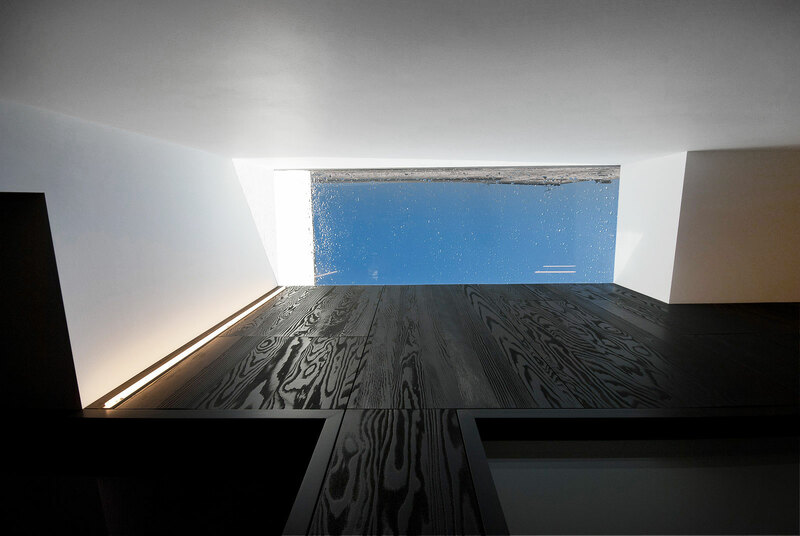 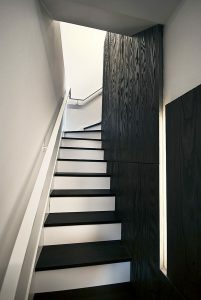 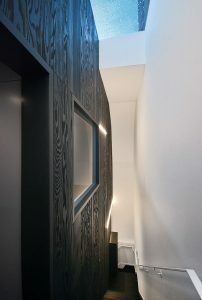 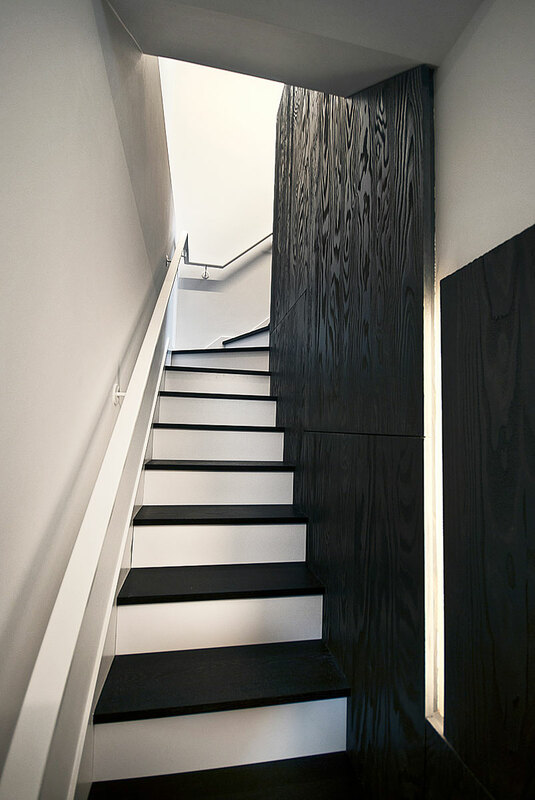 The staircase is well lit by skylights and has a deep grain textured internal façade of timber panels that have been sandblasted to enhance the surface texture and stained black to increase the graphic effect. 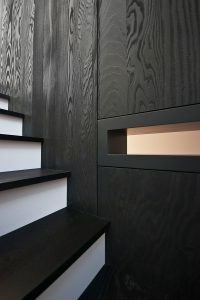 Natural light bounces off the timber and gives an impressive, continuous, feature quality to the stairwell. 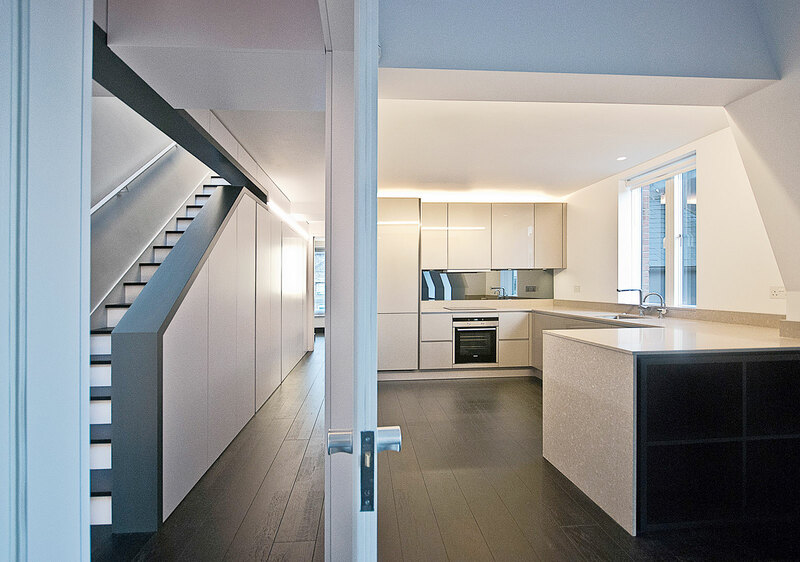 Internal windows and wide door openings enhance the connectivity and add to the open nature of the double storey-high living, kitchen and dining area that is rarely found within listed buildings.